You can use any generic midi device to remote control the mixer via mixing station. Baby HUI Depending on the protocol, the app will automatically assign actions to the device. Take a look at the bottom of the page for the default mappings. Note: MCU mode is not supported! In Android 5.0 (Lollipop) only the last plugged USB device is working correctly. This is a known bug in Android and cannot be fixed. A midi device will be represented in the app as one or more input / output devices. In the app you define faders, buttons and knobs (called controller) which then use one of those input/output devices. You can add / edit the midi devices form here. Press the + item in the menu to add a new device. 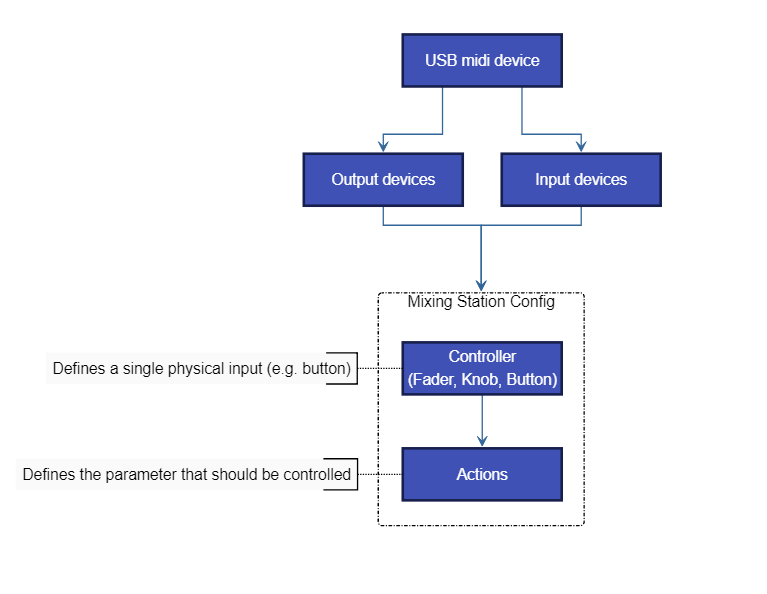 Give the device a name, select the appropriate protocol and input / output ports you want to use. Select the midi device where you want to add a controller to. Press the + item in the menu to add a new controller. The output mode configures when the value should be send back to the midi device. 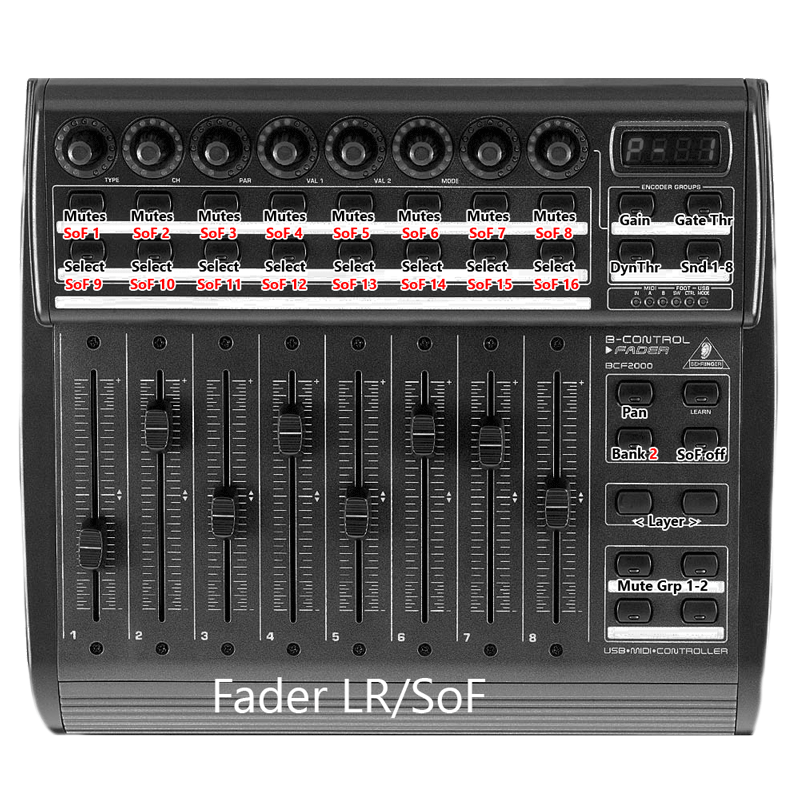 In general you can just press the Learn button and move/press the fader/button you want to assign. The app will automatically detect the midi channel and parameter type. Param A/B: These two selections are for filtering the midi parameter. Depending on the current selected event type the names of the parameters will change. A value of -1 means that the value will be ignored. Value source: Selects which midi parameter should be used as a value source. Example: A fader sends midi CC events. The position of the fader will be sends as Value of the CC command so this parameter should be used. Select Param B to select the second parameter which is in this case the Value parameter. Note: Buttons do not require a value source because the action will be triggered as soon as a matching midi command was received. Output "on" value: Sets the value that should be send when the button is currently on. Some midi devices can show different colors depending on the midi value so this parameter can be used to change the color. The following graphics show the default action assinments for the different modes. This driver can be used with the BFC2000 and other HUI capable devices. Make sure the device is set to HUI emulation mode (bhui for BFC2000).